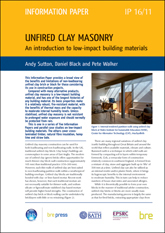 This Information Paper provides a broad view of the benefits and limitations of non-loadbearing unfired clay brick or block for those considering its use in construction projects. 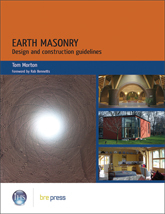 Compared with many alternative products, unfired clay masonry is a low-impact building material, and has one of the longest histories of any building material. 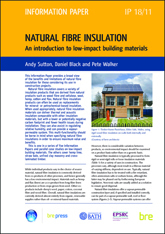 Its basic properties make it a relatively robust, fire-resistant material, with the benefits of thermal mass and the capacity to moderate internal humidity levels. Unless stabilised, unfired clay masonry is not resistant to prolonged water exposure and should normally be protected from rain. 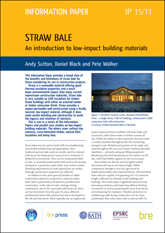 This is one in a series of five Information Papers and parallel case studies on low-impact building materials. 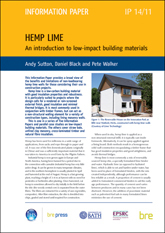 The others cover hemp lime, straw bale, cross-laminated timber and natural fibre insulation. 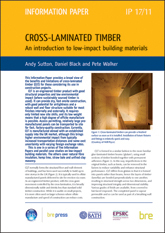 This title will be available for purchase on or after 31st October, 2011.